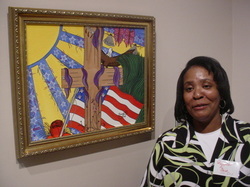 "A fresh breath of art to the Black Belt"
PDF Creations features a Macon County native, Ms. Pamela D. Ford. She has been expanding her art throughout the years. As founder and CEO, Pamela works in a variety of media, including furniture and decorating. Her t-shirt and greeting card designs are the most popular. 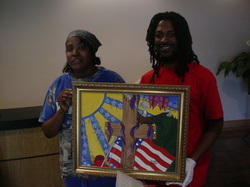 Her art has appeared in many venues throughout the Alabama area. She has also been in several art competitions in the state. 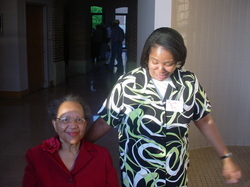 Pamela is constantly creating new expressions for others to see and enjoy. Inspirational insights to bless your day. As children the Ford family would sing in churches throughout the Central Alabama area. Now as parents and grandparents, the Ford family is at it again. However, this time they are producing the music, in addition to performing it. Group members include: Pamela, Monica, Tiffany, Daja and Crystal. 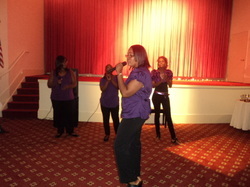 They will be releasing a CD soon, featuring their current single, "Calling Jesus", so check back for details. Also, look to see them perform at a church or event near you.